Though this may sound like an off the wall request, subscription boxes actually make fantastic gifts for newlyweds. With a variety of services at varying price points and delivery rates, there are a number of subscriptions that can potentially make newlywed life easier on you and your spouse. By utilizing subscription boxes, you can receive meals, cosmetics, household products, and much more at scheduled intervals. This is a great idea for your registry as it’s essentially a gift that keeps on giving, depending on how long the service is purchased. For those days you and your beau need something to do, consider requesting memberships to a place both you and your partner frequent or are interested in trying. Be it the new gym down the street, your favorite theater, or the zoo-memberships provide fun opportunities for date nights you might not have originally planned for! Whether you plan on going out-of-town or staying local for your honeymoon, giving your guests the freedom to choose and purchase fun activities for you and your new spouse to enjoy can be a fun way to keep the trip spontaneous and interesting. Have a preselected location and let your guests’ imaginations run wild; you two may just find a new unexpected hobby, and you’ll definitely make memories to cherish. While much less glamorous than the aforementioned, requesting a “care package,” of sorts can be hugely useful to couples who are freshly moved in together or just starting out. While many couples are quick to request gifts such as pots, dishes, and towels, often times smaller things get overlooked. Items can range anywhere from paper towels to dish soap to cleaning supplies, and even though it may sound less than appealing now, trust us, it will come in handy! A perfect way to commemorate your special day, personalized wall art is a fun and touching addition to any couple’s new nest. Not only is it a great way to permanently display your wedding day, it’s a great first step to making your house into a home. 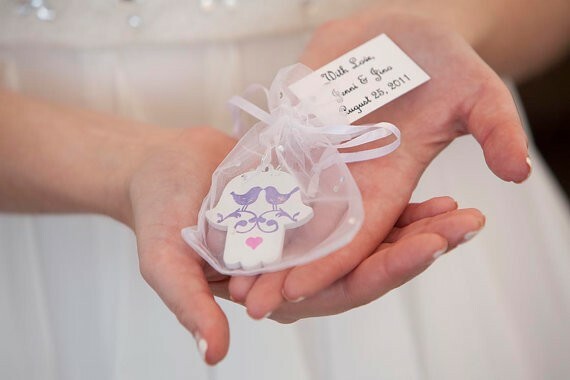 A unique and beautiful registry idea, having guests make charitable donations to an organization in honor of your wedding day is a great way to spread good will and keep you and guests both feeling great about helping a cause in need. Getting your life together up and running can sometimes be stressful after getting married, and you’ll want to make your days as newlyweds as stress free as possible. Consider asking guests to donate to a down payment fund for large ticket items you and your spouse will need to invest in, such as a new car, a new home, or even funds to further schooling. Having money set aside to plan a life together will make things much easier on the both of you and allow you to focus more on enjoying your time as a new couple. Save you and your spouse time and stress by requesting a cleaning service on your registry. After all the time spent planning your special day, the honeymoon, and getting into the swing of your lives together as newlyweds, the last thing you’ll want to worry about is scrubbing the toilet or mopping the floor. Requesting a cleaning service also allows you to spend extra time with the one you love, and who doesn’t love that? A perfect way to ease the tension of paying for what can be one of the most expensive wedding items you’ll have, starting a venue fund will allow the new couple to keep money in their pocket and not worry so much about the overall wedding costs. For those newlyweds worried that their cooking skills may not be up to par, or those simply wanting to expand their culinary horizons, cooking classes can be a great way to sharpen your skills and give the new couple a fun activity to do together. Who knows, it may even help improve the quality of your marriage in the long run; after all, don’t they say the way to the heart is through the stomach?